Summer is almost (officially) here. Even though it feels like time is flying, we are going to celebrate with a Summer Bucket List! Grab your sunscreen, flip-flops and koozie, and see what we we’re doing to make this summer a great one! Sunrise meditation. Nothing says good vibes like fresh air and a morning mantra. Make S’mores at a bonfire. The last few times I made S’mores, I used a microwave or lighter. Don’t laugh. Go to a baseball game. I have no baseball knowledge whatsoever, but I love the atmosphere! Float the river. Our Columbia friends introduced us to this summer adventure. It always ends with a sore body and a few good stories. Travel. I REALLY want to go to New Orleans this summer, but I’m open to going anywhere with a nice view. Build a fort. Yes summer is about sunlight and being outdoors, but I’d be okay with an air conditioned fort and Netflix…and snacks. Drink out of a coconut. This has been on my summer bucket list for years. You know it looks fun and refreshing! Go to a drive- in movie. If you have a drive-in movie in your hometown or get a chance to experience one, I say go for it. If you’re in Atlanta (or visiting Starlight DriveIn is great. Shoot the Hooch. I just want a lazy day on the tubing the Chattahoochee River. Go to the beach. Basically, I just need to plan an extended vacation home in Charleston. Take a weekend road trip. I’ve got my eyes on Nashville. Play in a sprinkler/on a slip-n-slide. Last year (on my birthday) Slide the City was canceled so I can’t personally vouch for event, but it looks like so much fun. If it comes to a city near you, go and tell me about it. Play with sidewalk chalk. Because #ForeverYoung. Make homemade ice cream. Do I really need a reason? Have a water balloon/ squirt gun war. In undergrad Ace and I had an epic water balloon fight with some of our friends…reunion time? Catch fireflies. This happens in movies all the time, but I can’t remember the last time I’ve seen a firefly. Fern Gully problems, huh? Take a nap in a hammock. I repeat: Do I really need a reason? What are some of the things on your Summer bucket list? Leave us a comment below. What a fun list you have for the summer! 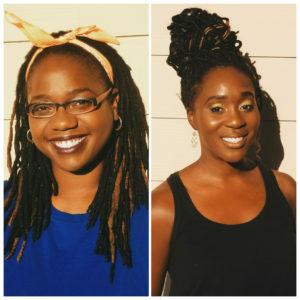 I recently created a summer bucketlist too! Can’t wait to complete everything! Thank you! We hope you have fun checking off all your summer adventures! My summer bucket list is filled with family-related vacations and some me-time! I can’t wait! If you make sunrise….I applaud you. I always say I’m going to do it, but sleep is just too tempting. Ha. I have thought about doing a Summer bucket list. I have a regular bucket list though. Enjoy the moments you get on each item on the list. Some things are just a little more fun in the summer, but it’s pretty cool you have a bucket list for any season! 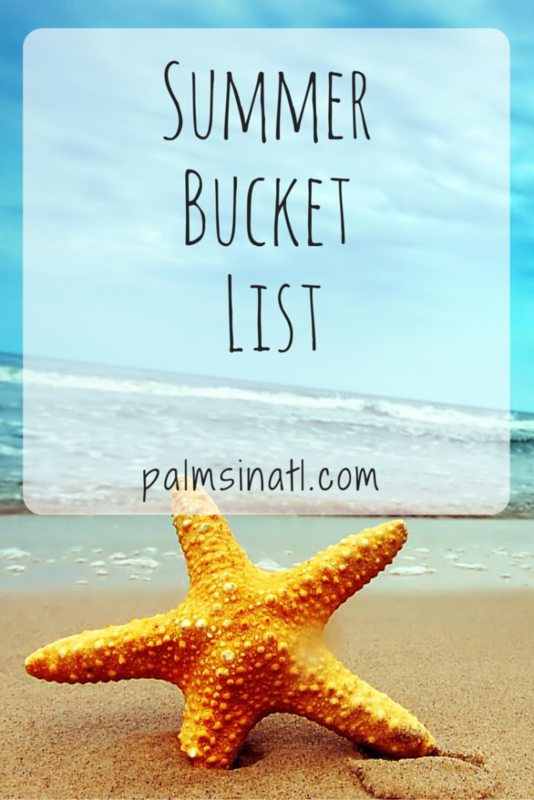 This is a wonderful Summer bucket list! I love to travel during the Summer! Thank you for sharing! Thank you for reading! Do you have any summer trips planned yet? Love your bucket list! So far I have crossed off roasting s’mores, traveling, and visiting a zoo off my bucket list! Fun!!! You’re ahead of the game, it’s not even officially summer yet!